Current research suggests that that exercise rehabilitation used in conjunction with osteopathic treatments can significantly aid the body’s ability to heal itself, restore joint functionality and flexibility and reduce the risk of injury or painful conditions recurring. 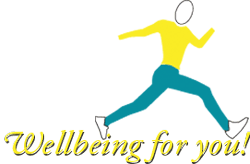 Exercise Rehabilitation is now prescribed in conjunction with Osteopathy for a number of conditions including; sports injuries, back and lower back pain, arthritis as well as being beneficial during pregnancy or when recovering from orthopaedic surgery. As part of the How Osteopathic Clinic’s commitment to patient care, osteopath Helen How uses Physitrack to create tailored exercise prescriptions which can be accessed only by patients via the PhysiApp. Each prescription contains individually created and clinically validated video exercise programs which have been designed by healthcare professionals to provide optimum benefit and recovery. Use of the Physitrack Patient App has been shown to engage the individual in their own healing process and promotes self-help and active recovery by means of clinical home exercise and educational material and outcome tracking. The PhysiApp program also enables Osteopath Helen How to monitor patient recovery between osteopathic treatment sessions and any concerns or questions that a patient may have, can be relayed to Helen via the App. I picked this lady out of 4 possible Osteopaths and I am glad I did! Helen uses Ultra sound and Shock Waves and along with the rehabilitation and exercises she gave me, I am hopefully going to avoid an operation on my lower back. Helen also keeps herself up to date with her machines and technology and I would certainly recommend this lady if you need an osteopath. Her machines do heal the body much quicker than just exercises and manipulation. For more information on Physitrack Patient Rehabilitation or to arrange an appointment with Edinburgh osteopath Helen How, please contact The How Osteopathic Clinic Edinburgh by email or telephone 0131 551 1044.